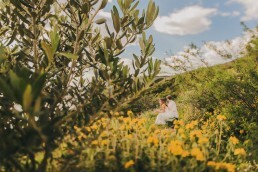 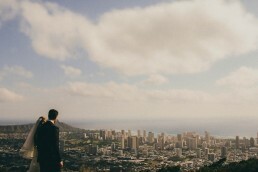 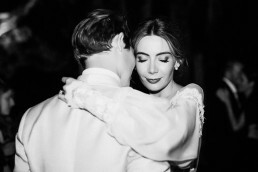 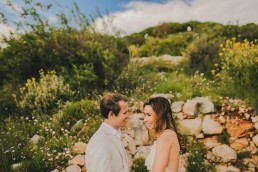 Jacinta and Jacob wanted their wedding day to be special, intimate and shared with their closest friends and family. 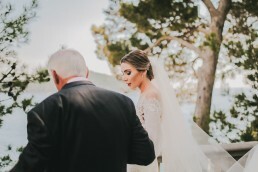 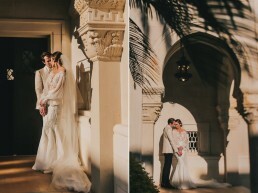 We definitely think they choose the right spot, because the Villa Sheherezade Oval Terrace and The Palm Gardens was the perfect location to make that happen. 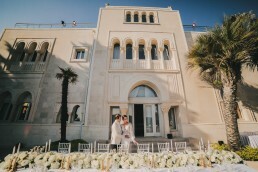 Villa Sheherezade has long been one of our favourite locations for a wedding and we still find something new and beautiful to capture every time we are there. 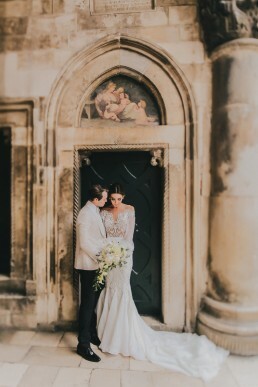 Jacinta made the wedding gown by her own design and she wanted the whole wedding decor to enhance the wedding dress design! 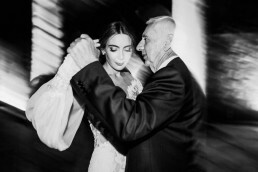 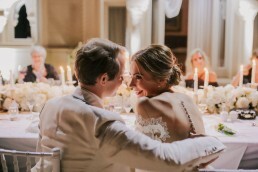 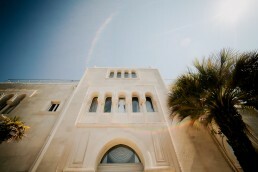 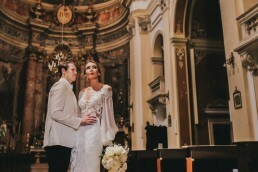 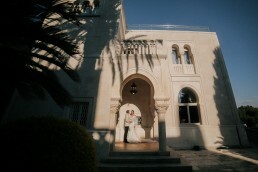 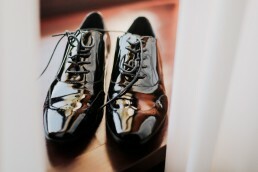 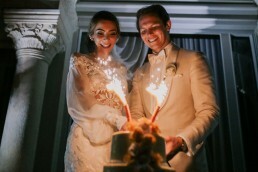 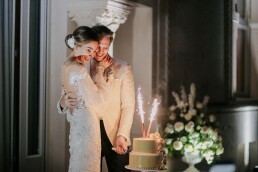 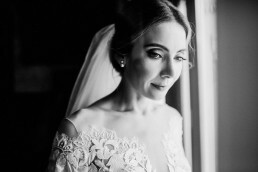 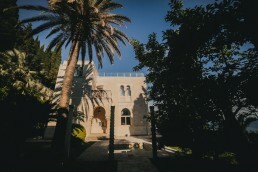 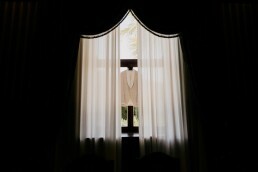 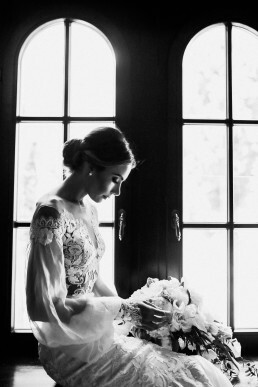 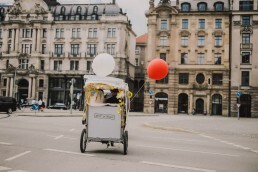 The couple’s day started their preparations in the palatial rooms of the Villa Sheherezade. 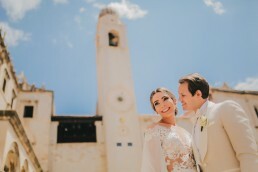 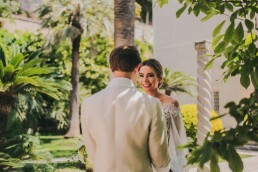 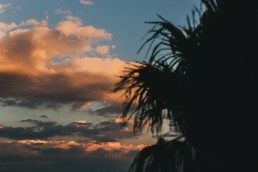 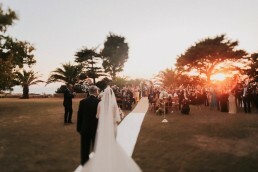 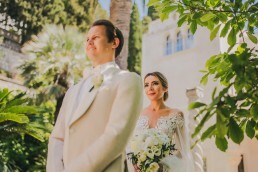 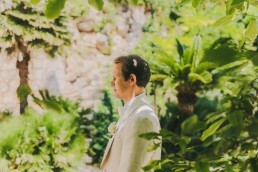 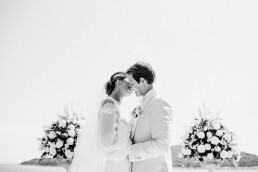 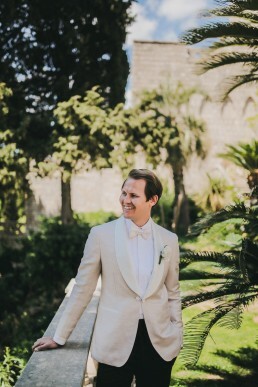 The couple first saw each other in The Palm Garden of the Villa and as the palms threw a shade on the perfect spot in the garden, the look on each others face was priceless! 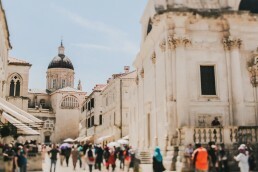 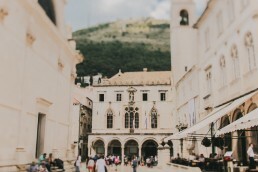 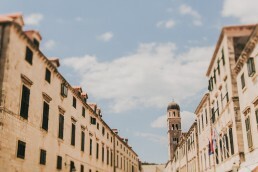 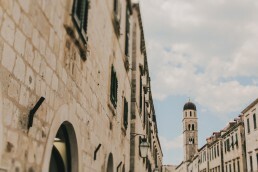 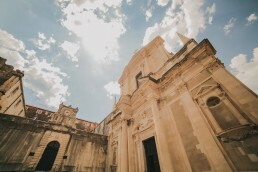 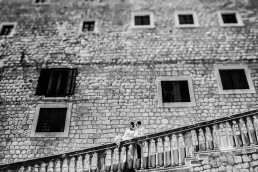 Their perfect day kicked off with the photo session they had all along The Old Town of Dubrovnik! 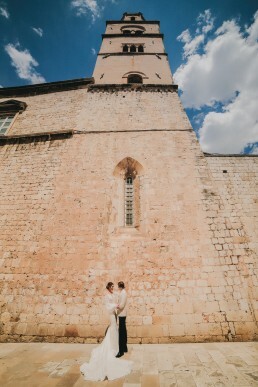 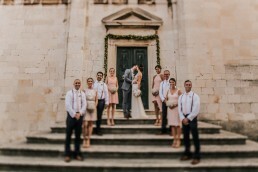 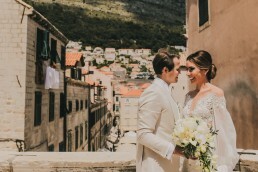 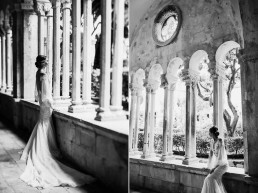 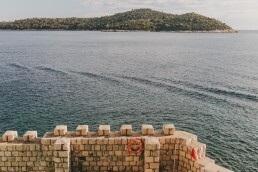 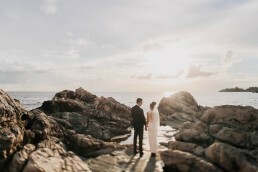 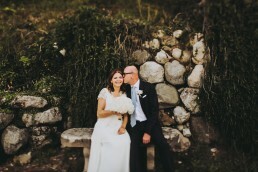 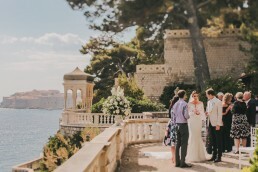 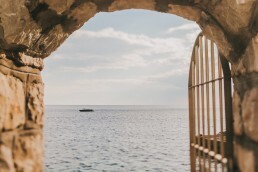 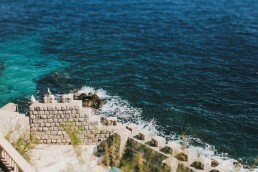 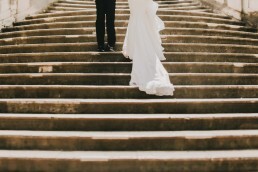 Dubrovnik’s Walls and ancient architecture provided an amazing backdrop to the couple’s photos! 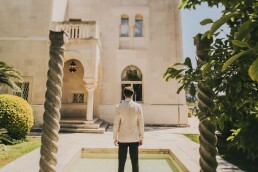 Jacinta’s father walked her down the aisle as Jacob waited for her in The Oval Terrace of the Villa Sheherezade where the ceremony was held. 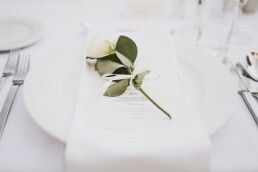 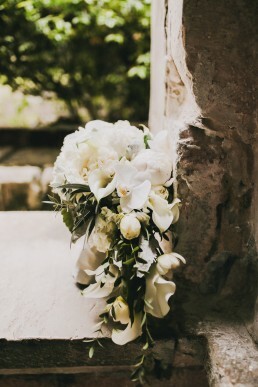 The small and intimate ceremony was in all white details, including the carpet, officiants table, the chairs and of course the flowers perfectly made by Floral Design PatRea! 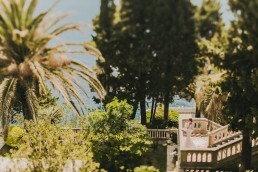 As they said theirs “I do’s” and professed the eternal love for each other with a kiss in front of the most magical backdrop, Jacinta & Jacob went on another, this time shorter, photo session in the Villa’s Palm Garden. 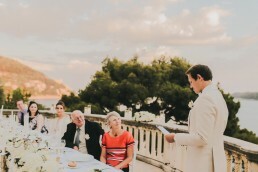 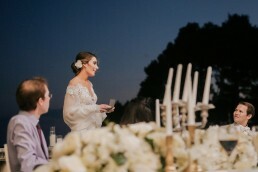 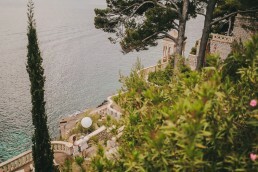 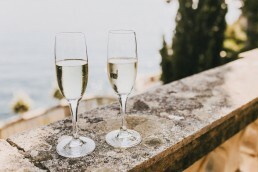 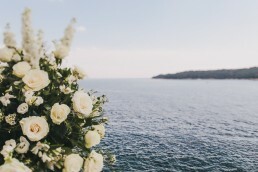 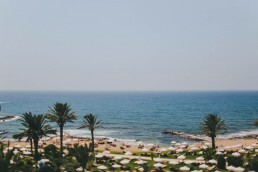 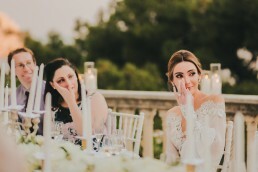 The reception was held in the Villa Sheherezade’s terrace with a gorgeous view of the sea and the lush gardens and the view was even better with Jacob’s speech! 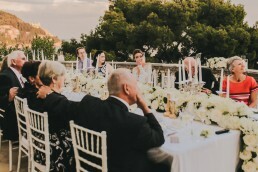 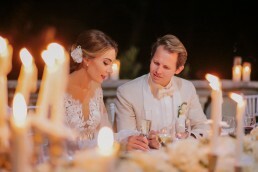 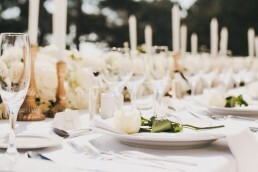 And since the wedding was very intimate, Jacinta & Jacob decided not to use music in their dinner so they could really enjoy the company of their closest! 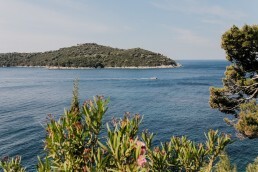 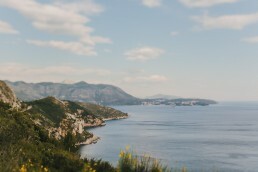 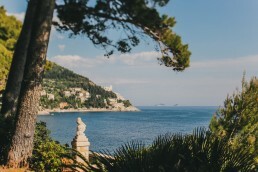 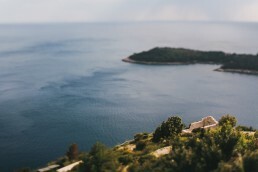 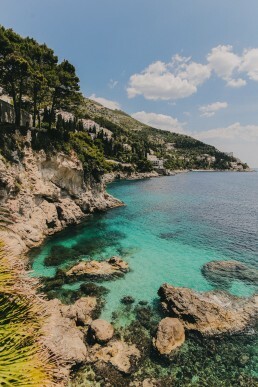 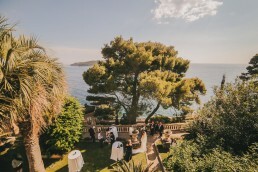 The day after, the newlyweds had a photo session in Park Orsula which has an amazing view of Dubrovnik and surrounding islands. 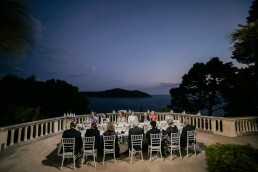 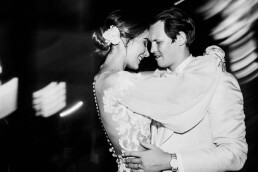 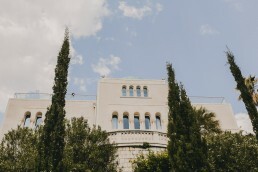 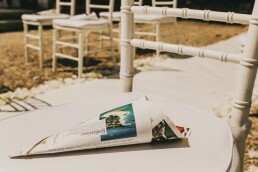 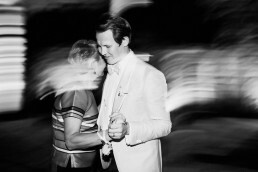 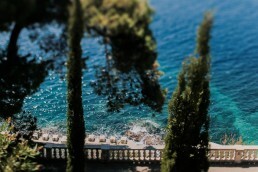 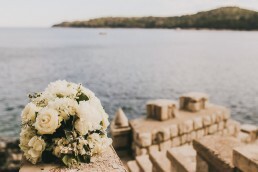 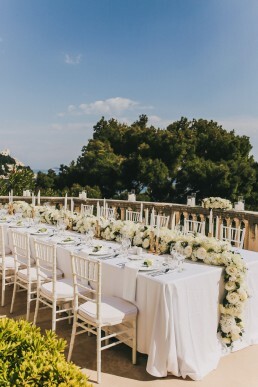 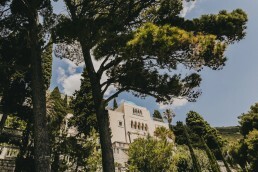 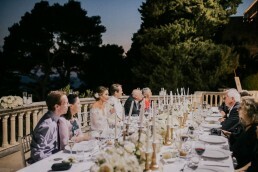 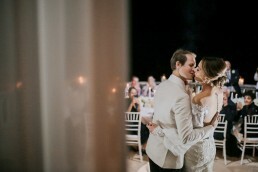 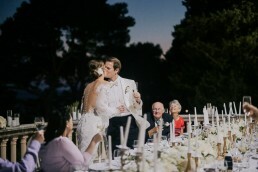 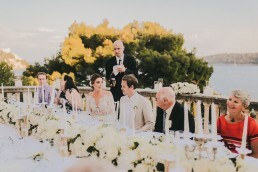 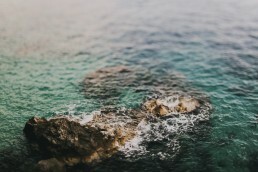 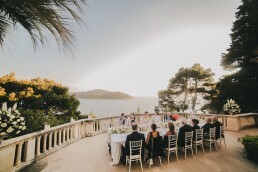 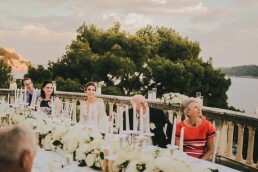 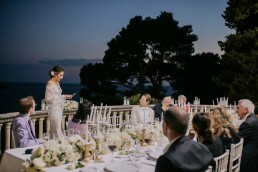 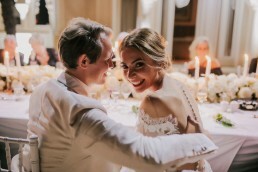 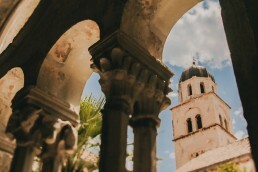 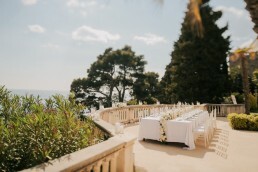 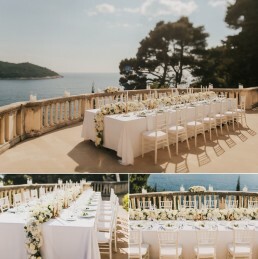 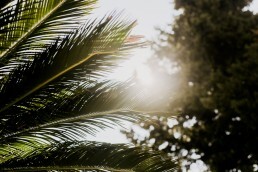 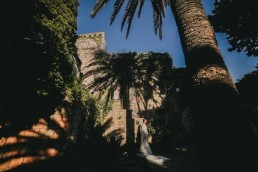 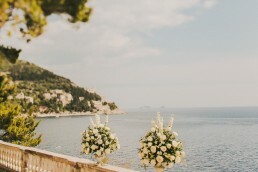 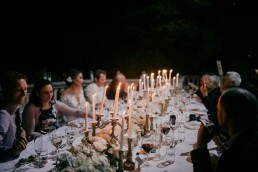 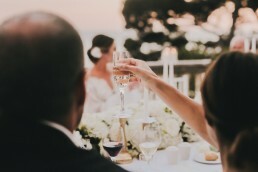 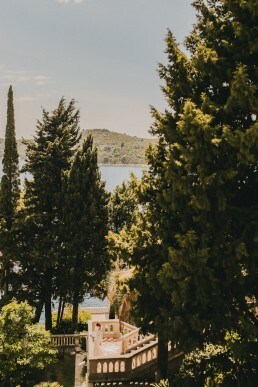 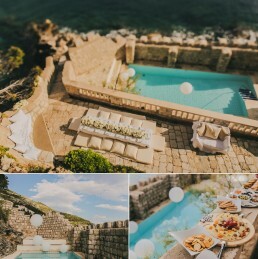 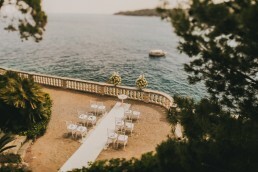 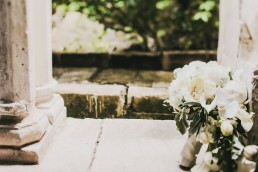 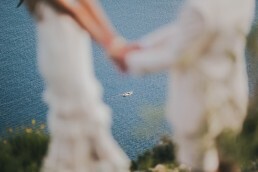 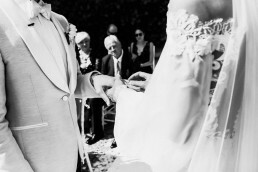 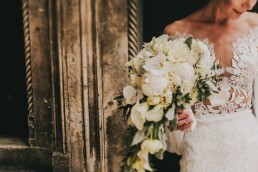 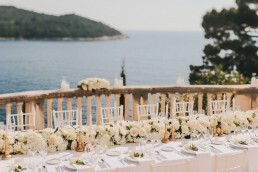 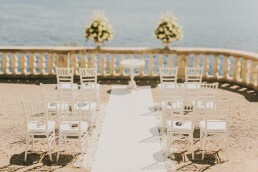 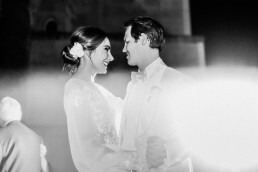 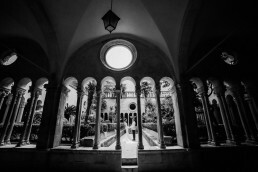 Their Dubrovnik wedding story ended with a light party in the terrace of the Villa Sheherezade.